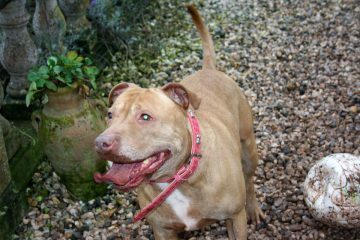 Meet Frankie, a 4 yr old neutered male Staffie crossbreed. He lives in the home pack and has lots of friends. Frankie is good with dogs and all people but not lived with cats. 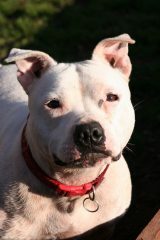 The lovely Ella is 2 yrs old, dog friendly but in need of more confidence around other unknown dogs – she lives with 8. 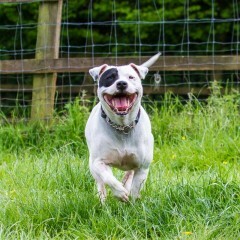 Ella is clever, full on, affectionate and pint sized. Meet little Jango – now Jimmy – he is a very sweet boy indeed. 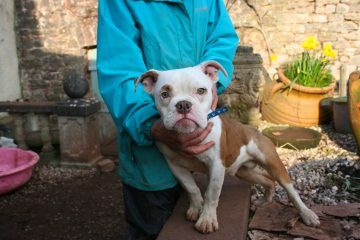 Jimmy is an 8 month old British Bulldog cross and he has serious health issues. Meet Sky .. for those following her, she is settling in brilliantly, such a happy little girl. She is one smart dog, highly intelligent and gentle natured. So here is the beautiful boy that nobody wanted. Young Barney has settled with us really well, he is affectionate and loving. A bundle of fun – that was taken to the vet to be destroyed. 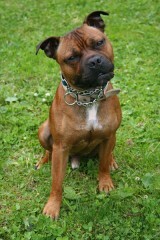 Barney has been passed around through no fault of his own, and was abandoned by his fifth owner before he came to us. 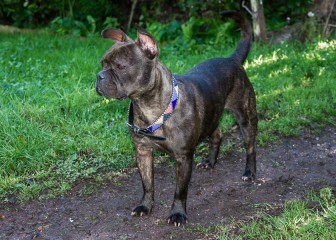 Reg is a three year old neutered male French Bulldog crossbreed. 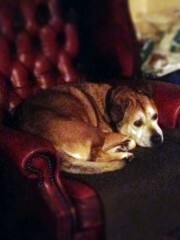 He came to us a few months ago from a home where he had been pampered and over-indulged. 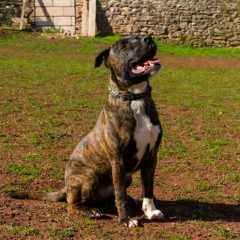 Dodge is a 6 year old male neutered Staffordshire Bull Terrier/Collie crossbreed. He is a friendly, loyal boy but due to early mistreatment, can take time to build up a relationship with new people. Tiger was a dog that nobody wanted to help. 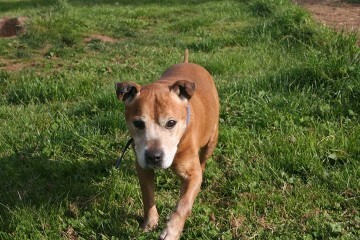 He came to our attention via social media, an elderly crossbreed whose life long owner had died. Tiger had found himself in a noisy and disturbing kennel and wasn’t coping well. 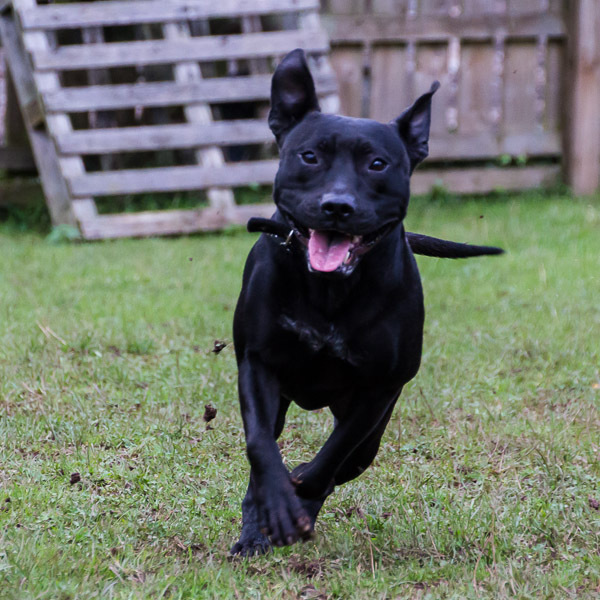 Max is a two year old Staffordshire Bull Terrier cross Labrador. He is male and neutered. Sidney – our ‘Elder statesman’ was a very mature gentleman who suffered from dementia. He passed away quietly in October, 2014, and will be fondly remembered. He found life very confusing if his routine was changed and was happiest in the tranquil setting of the centre (having taken over my office as his respite space! ).